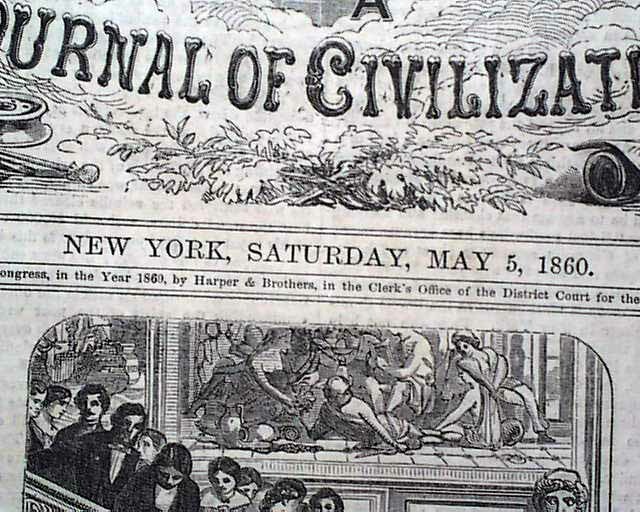 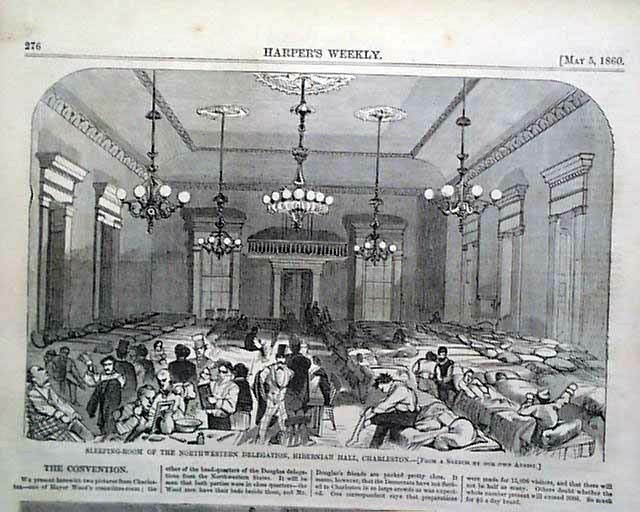 HARPER'S WEEKLY, New York, May 5, 1860 The prime feature of this issue would have to be the great doublepage centerfold print captioned: "Bloody, Brutal, and Blackguard Prize-Fight In England, Between Heenan and Sayers, On April 17, 1860" which shows hundreds of spectators. 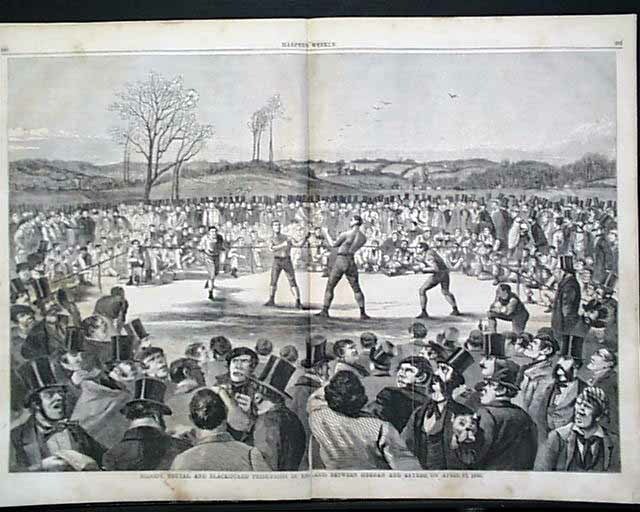 This historic boxing match is considered the very first world boxing championship. 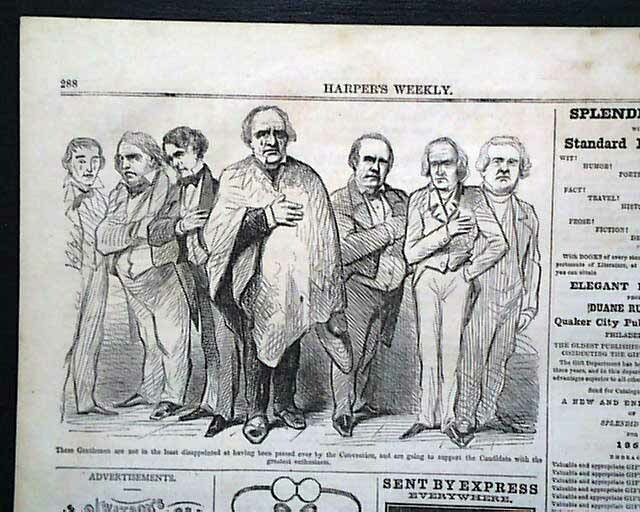 It is a terrific boxing print (see). 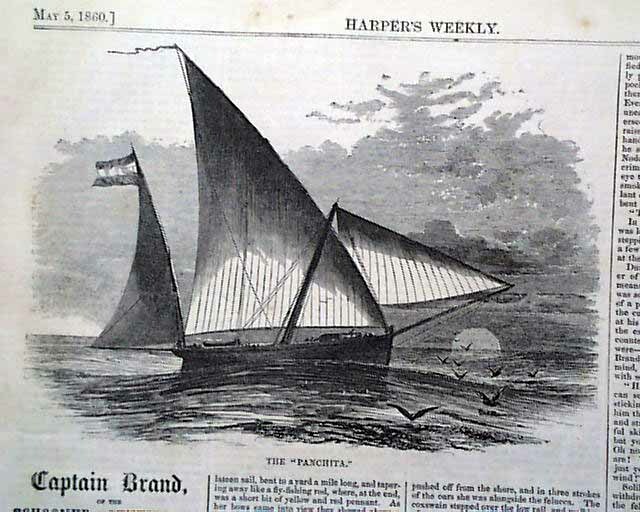 Page 2 has a related article titled: "The Brutal Prize-Fight" and takes close to half of the page reporting the details of the match. 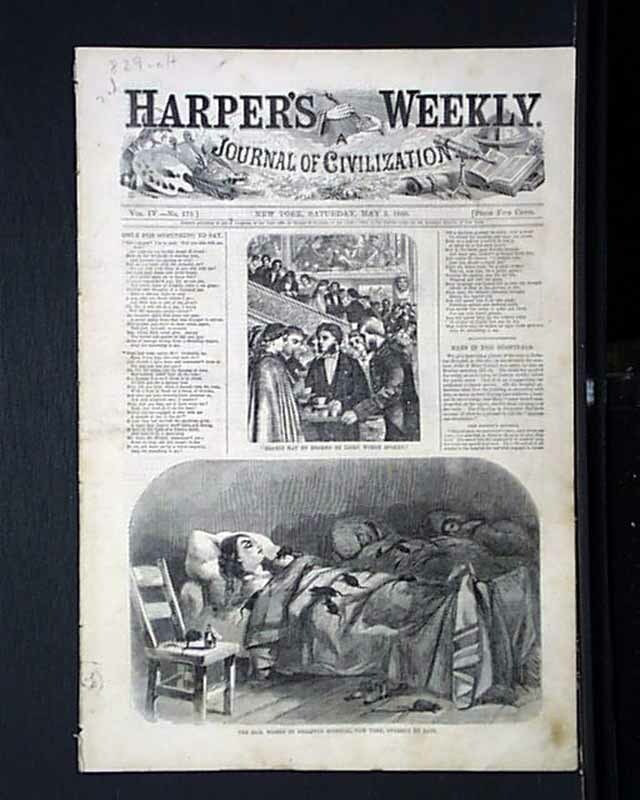 Among other prints in this issue are a front page: "The Sick Women In Bellevue Hospital, New York, Overrun by Rats" with a related article. 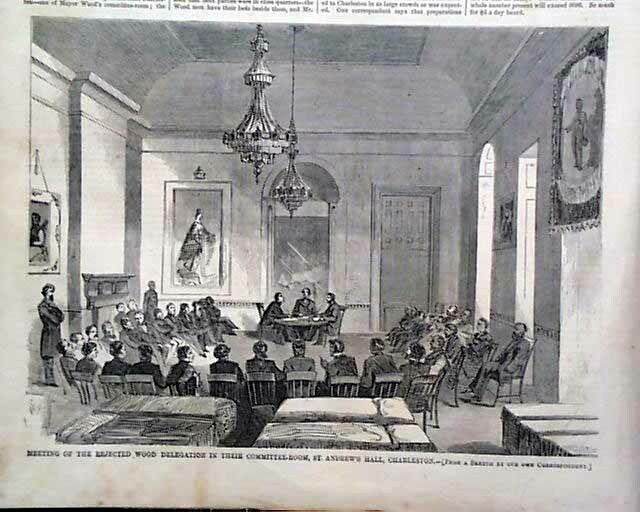 Also: "Sleeping Room of the North Western Delegation, Hibernian Hall, Charleston" and "Meeting of the Rejected Wood Delegation..." and a full page with prints of: "Hon. 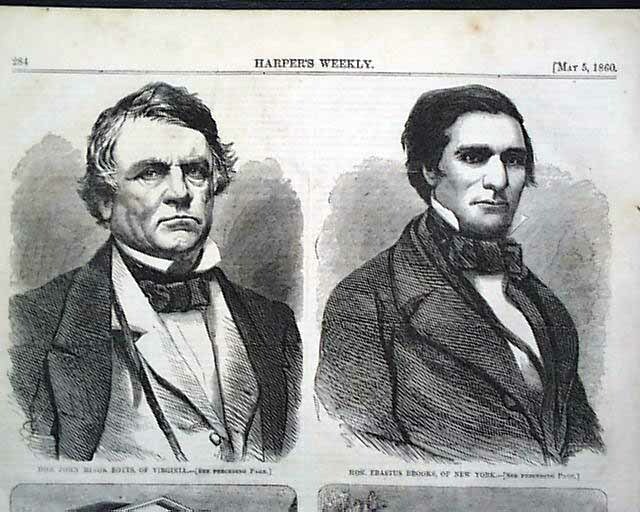 John Minor Botts, of Virginia" "Hon. 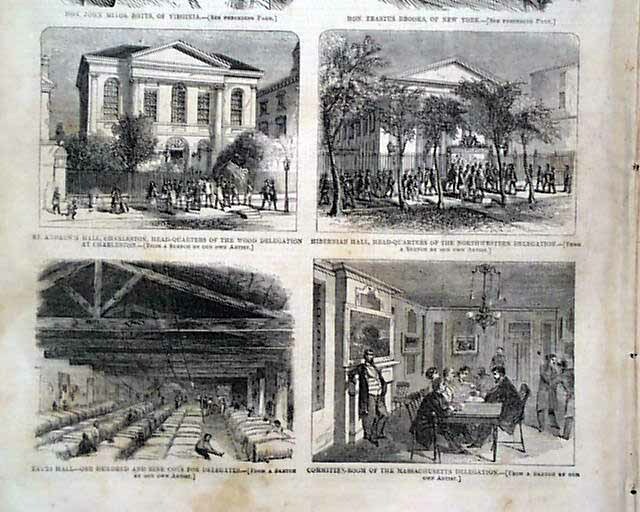 Erastus Brooks, of New York" "St. Andrew's Hall, Charleston" "Hibernian Hall..." and "Yates Hall...".